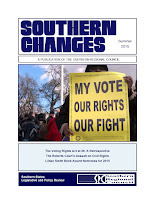 The Latest Print Edition of Southern Changes is Now Available! To order your copy, click here or send a request to Charles.johnson@hklaw.com. 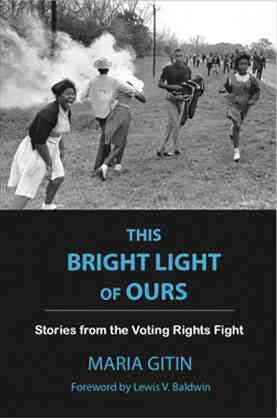 This Bright Light of Ours offers a tightly focused insider’s view of the community-based activism that was the heart of the civil rights movement. A celebration of grassroots heroes, this book details through first-person accounts the contributions of ordinary people who formed the nonviolent army that won the fight for voting rights. Combining memoir and oral history, Maria Gitin fills a vital gap in civil rights history by focusing on the neglected Freedom Summer of 1965 when hundreds of college students joined forces with local black leaders to register thousands of new black voters in the rural South. Gitin was an idealistic nineteen-year-old college freshman from a small farming community north of San Francisco who felt called to action when she saw televised images of brutal attacks on peaceful demonstrators during Bloody Sunday, in Selma, Alabama. Atypical among white civil rights volunteers, Gitin came from a rural low-income family. She raised funds to attend an intensive orientation in Atlanta featuring now-legendary civil rights leaders. Her detailed letters include the first narrative account of this orientation and the only in-depth field report from a teenage Summer Community Organization and Political Education (SCOPE) project participant. Gitin details the dangerous life of civil rights activists in Wilcox County, Alabama, where she was assigned. She tells of threats and arrests, but also of forming deep friendships and of falling in love. More than four decades later, Gitin returned to Wilcox County to revisit the people and places that she could never forget and to discover their views of the “outside agitators” who had come to their community. Through conversational interviews with more than fifty Wilcox County residents and former civil rights workers, she has created a channel for the voices of these unheralded heroes who formed the backbone of the civil rights movement. Maria Gitin was a national fundraising and diversity trainer for twenty-eight years. She has served as Executive Director of a YWCA, founded a shelter for survivors of domestic violence, and continues to register voters in communities of color. Currently, Gitin is a frequent presenter on cultural competency and voting rights. She lives in Northern California with her photographer husband, Samuel Torres Jr. In 2013 the Supreme Court issued a decision in Fisher v. University of Texas which affirmed the constitutionality of affirmative action admissions programs. However, the case was remanded to the Court of Appeals for a determination of whether University of Texas’ (UT) admission process is “narrowly tailored” under the majority’s new interpretation of that requirement. The Fifth Circuit reconsidered the question and held UT’s policy was constitutionally permissible stating “It is equally settled that universities may use race as part of a holistic admissions program where it cannot otherwise achieve diversity,” Fisher appealed to the Supreme Court again. On June 29, 2015, the Court agreed to re-hear her case. Many observers fear that the decision to reconsider the Fisher means UT's admissions policy could be in danger. An adverse result could jeopardize race-conscious admissions at universities across the nation. Under the Fourteenth Amendment governmental policies that classify on the basis of race must have a "compelling justification" and the means chosen must be "narrowly tailored" to achieving a legitimate governmental interest. In Grutter v. Bollinger, the Supreme Court applied this standard and affirmed the constitutionality of University of Michigan's affirmative action admissions program. The challenger in Fisher is a Texas resident who was denied admission to UT’s entering class in 2008. She contended that UT’s race-conscious admissions policies are unconstitutional because they reached beyond promoting the educational benefits of diversity and sought to achieve a quota that reflected Texas' racial composition. Fisher also argued that Texas had not given adequate consideration to race-neutral alternatives. Her alternate argument was minorities had already achieved a "critical mass" under Texas' "Top Ten Percent" law, making additional efforts to promote diversity unnecessary. Under Texas' Top Ten Percent law, students with grades in the top tenth percentile of their high schools' graduating classes are automatically admitted. 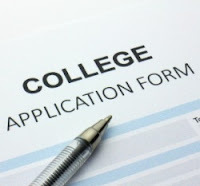 Applicants who are not in the top ten percent compete for admission based on their academic and personal achievement indices. Race is considered as one element of the personal achievement score but it is only one component of the total personal academic index. In Fisher the Court affirmed Grutter’s ruling that student body diversity is a compelling state interest. The case focused instead on the “narrow tailoring” requirement. The majority held that the lower courts applied the wrong analysis when they deferred to UT's judgment regarding the need to consider race in its admissions process. The Court found that this misallocated the burden of proof. Universities, rather than plaintiffs, must show that race-neutral alternatives would not suffice to produce the educational benefits of diversity. The case was remanded to the Court of Appeals for the Fifth Circuit which ruled in UT’s favor. The Supreme Court has agreed to hear the case again. The decades-long campaign against affirmative action has been relentless. Four of the Supreme Court Justices, Antonin Scalia, Clarence Thomas, Samuel Alito and Chief Justice John Roberts are adamantly opposed to any form of affirmative action. Anthony Kennedy has never voted in favor of affirmative action but has thus far been unwilling to outlaw affirmative action altogether. It is not certain that the court will issue a broad ban on any consideration of race. The justices could issue a narrower ruling. However, if the Court were satisfied with Fisher’s outcome at the appellate level there would have been no reason to hear the case for a second and unprecedented time. This raises a number of suspicions regarding the Justices’ motives. In affirmative action, voting rights, and employment discrimination, a conservative majority led by Chief Justice John Roberts, has amassed a record of rulings that are hostile to the interests of African Americans. It is unlikely that this trend will change. Fisher may turn out to be major setback for affirmative action.